My husband Thomas and I have quite different upbringings in life. I grew up in a family where my parents were always taking people in and helping people out.I have four “heart sisters” right now along with several other “heart siblings” from the past. “Heart siblings” are individuals so close knit into my family that they are just as important as an actual sibling, but are not legally adopted or biologically connected to me…it was a decision I made in my heart. Thomas grew up a bit different than me. He was adopted out of foster care at the age of eight. He and his biological brother were adopted together, but their biological sister was previously adopted separately. This has always been a sore spot for Thomas and his brother. As you can imagine our pasts have a lot to do with our easy choice to adopt. About a month after our wedding I sat down with Thomas to talk about when we wanted to start a family. He said he wanted to wait two years, while I wanted to start trying right away. We prayed about it and ultimately decided to put our trust in God and His timing. Admittedly, my mind set quickly changed and I thought ‘Yes, I won! I’m gonna get pregnant right away and have kids quickly!’ Well, as almost always…God had a different plan. Six months passed without conceiving a child and each month I found myself devastated. Throughout this process I went through days of crying, being angry with God, and wondering ‘WHY? !’–All the while forgetting that at the beginning of this journey I had told God it was His choice, His time, His will. After a year of trying to conceive we sought medical treatment where I was prescribed some medication. Another six months passed with no success. It was at this point that we made the choice to stop trying. My mind set had started to change and I began coming to grips with the reality that maybe, just maybe, MY plan wasn’t the same as God’s plan. One day at work, I met a lady who was a foster mother. I had many of the common misconceptions and limited knowledge about fostering and the child welfare system—the limited information I did have caused me to believe that being a foster parent wasn’t a good thing. Thankfully, this lady was very informative and open. She corrected most of my previous misconceptions…but I was still worried about my ability to say goodbye to kids that were placed in my home. I wasn’t certain I could handle it, but I also felt great peace about taking the steps to become a foster mom. After much thought, I took my idea to Thomas. He did not share in my desire to pursue this journey and thought ‘there is no way we are becoming foster parents’. Thomas didn’t feel that I would be able to handle the goodbyes and shared that he did not want to see me heart broken, however, he loved the idea of adopting but didn’t feel that fostering was the way to go. Fast forward to a year later where I once again brought up the idea of fostering to Thomas. This time around he was more open to the idea of fostering, but wanted to obtain more information before making a final decision. We met with a worker from a foster care agency and decided to complete the Deciding Together class. We learned SO MUCH about becoming foster parents—the trials, joys, trauma, and struggles we would encounter. We learned about our rights as parents and roles as caregivers to each child that entered our home. About half way through the class we made the very strong resounding decision that we would become foster parents. 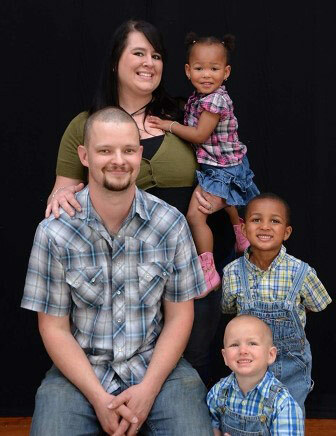 Within two months of receiving our foster care license we began having children placed in our home. At the end of the second month a 2 ½ year old little boy named JJ and an 11 month old little girl, Mia, were placed in our home. We were told their case seemed to be an ‘easy’ one and we believed we would care for them for about six months before they would be leaving our home. A few months later while we were caring for JJ and Mia, I was invited to a friend’s 30th birthday party, but had decided not to go. On the day of my friend’s party she called me and asked if I would be attending. I explained to her that I would not be there…but she convinced me otherwise. While at the birthday party I happened to meet a woman who was about to become a CASA (court appointed special advocate) worker. We shared stories about our lives and, determined to keep in touch, we exchanged contact information. To my surprise, I received an email from her a little less than a month later. She relayed to me how excited she was about her new job and told me about her first case—a precious little 18 month old boy. Knowing Thomas and I’s story, she stated she thought of us the moment she met him. 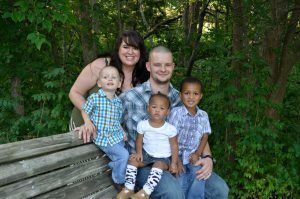 The little boy’s foster mother loved him, but didn’t feel that they were the right family for him. My new friend told the boy’s foster mom about us and she stated the foster mom was excited to meet us and to have us meet the little boy. We were very hesitant about meeting him and almost backed out several times…but we ultimately decided to meet him and his foster mom. A bond formed between the three of us instantly. I’ve never seen or felt anything like it. It was such a strange and surreal feeling, but it happened. After we left that day we spoke with his foster mom who stated that he was asking for his “mom” and “dad” (talking about us!). I didn’t quite believe it, but we continued to visit this precious little boy and his foster family. As the bond grew stronger we were asked to do respite for him. He stayed with us for one night every other weekend and he never wanted to leave us! This sweet little boy was officially placed in our home in June 2013, which was also about the same time that he was officially legally free to adopt. We quickly began the process to pursue adoption and in August of 2014 this little boy became Bruce Wayne Hyatte—our son. All the while, JJ and Mia never left our care. Their case progressed in such a way that in the summer of 2014, JJ and Mia became eligible for adoption. By this time, I felt that JJ and Mia were already mine in my heart, so the decision to adopt them was a simple one. 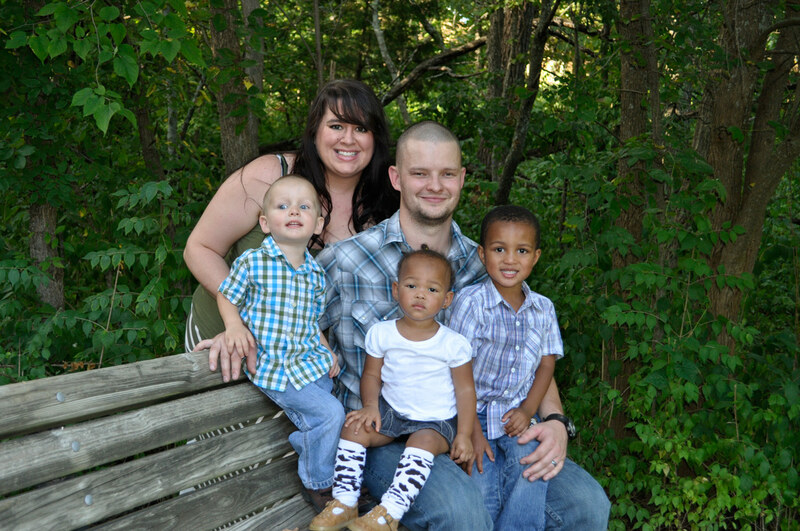 We began the adoption process and on August 17, 2015, JJ and Mia became Hyatte’s as well! God designed these kids to be mine and Thomas’s children. I believe that with all that I am. It’s been quite a journey getting here, but we wouldn’t change it for anything. There have been lots of tears and struggles, learning and growing, changing, and becoming better and stronger (not just as individuals, but as a couple as well). Our family is perfect. We have been blessed with some of the brightest, sweetest, most talented and yet most challenging children I have ever met. Every tear shed, every heart ache I felt, every pain I experienced was WELL worth the gifts I have now in these three kids.